It seems as if Marvel is ready to answer the call of Muslims around the world (Pakistani Muslims in particular). The Muslim superhero, Ms. Marel was confirmed in a BBC interview with Kevin Feige, who produced Avengers: Infinity War. Feige told BBC that “Ms. Marvel… is definitely sort of in the works.” Although Feige confirmed that this was a future project of Marvel, we should not expect to see the superhero anytime soon. Marvel is already set to roll out Captain Marvel, who will be played by actress Brie Larson. Captain Marvel is set to hit theatres in 2019 and is likely to play a part in the Avengers movie that will follow her solo debut. Ms. Marel will not be the first female lead for a Marvel movie. As previously stated, Captain Marvel will be played by female actress Brie Larson. The theory is that Captain Marvel will introduce Miss Marvel and there will be a new alliance formed. This theory is backed by the Ms. Marvel comic book series. In the comic books, it is made clear that Ms. Marvel is inspired by Captain Marvel. Ms. Marvel is a Muslim Pakistani-American teenager from Jersey City, New Jersey. Ms. Marvel’s alter ego is Kamala Kahn. The superhero was created by Sana Amanat and Stephen Walker and she made her debut in comic books around the world in 2014. Ms. Marvel has grown to become one of the most popular superheroes in the Marvel Universe. Fans love her bright colored uniform and quirky personality. Ms. Marvel’s superpower is shapeshifting. In other words, she has the ability to change her shape or identity at will. In Kamala’s free time, she enjoys hanging out with friends and writing fan fiction about her favorite superheroes. So basically, she’s a normal teenage girl. In the comic, Kamal is obsessed with Carol Danvers, also known as Captain Marvel. Who will Play Ms. Marvel? The early speculation is that Priyanka Chopra will be handed the role. While some fans approve of this move, others are not in favor. Many people are calling for a teenage Pakistani actress to play the superhero. Chopra seems like the logical fit because she is already an award-winning actress. Casting for this role is very far off. As of right now, everything about Ms. Marvel is speculation. As more news begins to break about this superhero’s movie, we will bring it directly to you. This entry was posted in General on May 15, 2018 by Vicki Black. 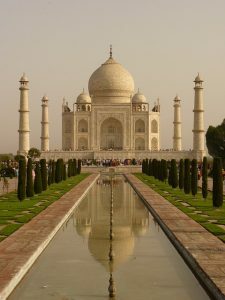 The Muslim religion is among the largest and fastest growing religions in the world. Athletes are often outspoken about their religion and who they tank for the “blessed” life they live. Some of the greats in sports history have accredited Allah, the Muslim deity, with their personal values and athletic ability. Complex put together a list of some of the most dominant players in their respective sports, that are also Muslim. Check it out below! Mike Tyson is one of the most prolific boxers the heavyweight division has ever seen. Tyson burst onto the scene in 1981 and never looked back. Over his career, Mike racked up 50 wins, 44 of which were knockouts, and only tallied six losses. Towards the end of his career, Tyson became infamous when he bit one of his opponent’s ear. This was during a dark period in his life, where he was struggling with addiction and arrests. Mike Tyson credits Allah as his savior, claiming that his faith in the Muslim deity helped him crawl out of a dark hole. When Shaquille O’Neal entered the NBA, he was before his time. He was a massive center who was athletic enough to dunk the ball over anyone in the game. He quickly asserted himself as one of the most physically dominant players in the game. Shaq was never too outspoken about his religious views. In a few interviews, Shaq mentioned that his mother was Catholic and his step-father was Muslim. It turns out, Shaq took to the beliefs of the Islamic faith as he is on record saying that he has completed the pilgrimage to Mecca. Hakeem “The Dream” Olajuwon is everything you could ever want in an NBA center, and player for that matter. He is one of the greatest of all time. He even has a signature move, “The Dream Shake”, that other players have tried to perfect over the years. When Hakeem first entered the NBA, he converted to Islam. He practices a very strict faith and was even known to fast during Ramadan despite the start of the NBA season. Maybe it has something to do with being an NBA big man great, but Kareem is another center that makes the list. Kareem dominated through all levels of his basketball life. He too invented a move that seemed unguardable. The “skyhook” liked “the dream shake” is a move that NBA players still attempt to perfect to this day. Kareem’s born name was Lew Alcindor, but he changed his name when he converted to Islam in 1971. You are probably most familiar with the name above, Muhammed Ali. The ring wasn’t big enough for Muhammed’s boisterous personality. Muhammed’s strong Islamic faith helped shape the American Civil Rights movement. This entry was posted in General on April 9, 2018 by Vicki Black. Every religion has celebrations that take place over the course of the year. Some require that you fast, others require that you refuse to give in to temptations, others celebrate the birth of the religions. Some religions have holidays throughout the year, while others are concentrated in one month or so. The Islamic faith has two major holidays, al-Fitr and al-Adha. Al-Fitr marks the end of Ramadan. The fasting is now over and the end of the holy month is celebrated with a big celebration and bountiful feast. Al-Adha is another holiday that is very important. The english translation of this holiday is the “Feast of Sacrifice.” The holiday marks the day that prophet Abraham was going to sacrifice his son to honor God. Just as he was going to sacrifice his son, God provided him with a goat to slaughter. Since this day people of the Islamic faith have been slaughtering a goat as a sacrifice to God. Ramadan is a month long celebration that takes place during the ninth month of the Islamic calendar. During these 29 or 30 days, Muslims must fast from sunrise to sundown. Ramadan is meant to celebrate the first verses of the Quran being presented to the prophet Mohammed. Laylat al-Qadr takes place on one of the ten final nights of Ramadan. This celebration marks the day that the first verses of the Quran were presented to Mohammed. During this day, Allah’s blessings are said to be the strongest and all sins are forgiven. Eid al-Fitr marks the end of Ramadan. The end of the month long fast is celebrated with a great feast. In Islamic countries, the holiday is celebrated over a three day period. The Hajj is one of, if not the most important holiday in the Islamic faith. Each year, there is a pilgrimage to the Mecca. 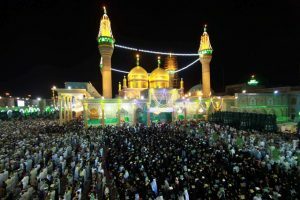 While it is not required to attend the pilgrimage every year, it is required to complete the pilgrimage at least once in your lifetime; if you are able, of course. This holiday celebrates one of the Five Pillars of Islam. Eid al-Adha marks the end of the Hajj. The day is celebrated with the sacrifice of a lamb. The intent of Eid al-Adha is to celebrate happiness and forget any differences you have. Gifts are given to family and friends an there is a large feast. For every religion, holidays mark the day of an important event. They are a day to rejoice and celebrate. It is important that no matter what your beliefs are, you respect the beliefs of others as well. This entry was posted in General on March 6, 2018 by Vicki Black. The United States has one of the lowest percentages of the population being Muslim in the world. That being said, the Islam religion is the fastest growing religion in the world. According to Pew Research Center, the religion’s popularity is growing at a rate that will surpass the Christian religion and take the number one spot by the halfway point of this century. As of 2010, there were 1.6 billion Muslim people in the world; 0.2% of the Muslim population are living in the United States. By 2015, the United States’ Muslim population had risen to 3.45 million, making up about 1.1% of the population. Out of the approximated 2.15 million Muslims in the country, 58% are immigrants. According to surveys done by Pew Research Center, the Islam religion is projected to pass Judaism for the second most popular religion in the world by the halfway mark of this century. The two areas in the United States with the highest percentage of their population being Muslim are New Jersey and the District of Columbia, coming in at 3%. There are a number of factors contributing to the recent rapid expansion of the Muslim religion. A couple of these reasons are not what you would expect. While the Muslim faith has some people converting to their religion, the reason for the rapid expansion is the number of children families of the Islamic faith have. According to research done by the Pew Research Center, Muslim women have an average of 2.9 children. This is higher than the combined rate of all of the other religions, which is 2.2 children per woman. While these children will grow up to be of Islamic faith, there is another reason that the Muslim religion is projected to grow exponentially. The reason is because the median age of the religion as of 2015 is 24 years old. 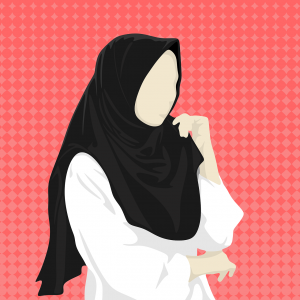 At 24 years old, the birth of the Islamic faith is getting ready to marry and begin a family. Kind of like the baby boomers forcing the American population to explode in the 1950s and 1960s. With a median age of 24 years old, the Islamic faith has a median age that is 7 years younger than non-muslims. Both of these facts are the leading factors in the rapid expansion of the Muslim religion. There are simply more people being born into the faith than any other religion, which is why the Islamic faith is surpassing the Jewish and Catholic religions, in terms of popularity. This entry was posted in General on January 30, 2018 by Vicki Black. It is now the time of year that many seem to split into two or three distinct occasions. One is a time of great religious significance that celebrates the birth of Jesus, the Messiah of the Christian faith. Another involves what some call the over-commercialization of the former with gatherings of family and friends, gift giving, decorations, and dinners that dwarf the typical family sit-down. And then, there is a third, foreign to Christians of varying degrees. That is the concept that Christmas is just another day for members of other faiths. The stereotype has been for some time that Jewish people “celebrate” Christmas by ordering Chinese food. And whether or not the former is actually an accurate depiction of the religion as a whole, the point still stands that Christmas in itself is significant almost exclusively to Christians despite the great marketing campaigns that many of us are exposed to during this time of the year. But it also begs the question of what others do during this time of great celebration for many who follow the Christian faith. For example, how do Muslims observe Christmas, if even at all? Well, in fact, it would seem that Christianity and Islam have more in common regarding Christmas than many might have realized. For example, Harvard University professor Hisham Mahmoud stated in an interview with National Public Radio that, “Muslims and Christians believe that Jesus is the only Messiah.” Others support this assertion as well. Sajdah Nubee describes the veneration of both Jesus and Mary in the Qur’an and the significant roles they play in the faith of Islam. She goes on to say, however, that Muslims do not tend to celebrate the births of prophets, the regard in which they hold Jesus. Others recount their holiday “celebrations” by mentioning giving to charities or even going bowling at the time. Some even mention getting involved in the Christmas spirit. Fawzia Mirza and Nabeela Rashid describe the 13-foot tree in their living room even though they are both Pakistani-American and of the Muslim faith. Zahra Noorbaksh mentions all of the Persian members of her community gathering to celebrate and even having someone dress up as Santa Claus. Even despite this, there are many who don’t feel the necessity of observing Christmas. For one, the month of December, in particular, is riddled with religious importance for a number of faiths. Christians celebrate Christmas, Jewish faithful celebrate Chanukah. And while Muslim Eids (holy celebrations) shift in dates every year due to the observance of the lunar calendar, they do occasionally fall in December. However, the significance of the holiday isn’t lost. While Muslims do not celebrate the birth of Jesus as Christians do, there are many who recognize the spirit of the holiday itself: a time of generosity and charity, of kindness and love, and of reflection on the blessings of life. They may not all hang up garland or lights or get swept up in gift-giving, but the similarities of the faiths are strong enough where they can at least appreciate the holiday season, if not necessarily celebrate it. Perhaps it can also serve as a lesson in mutual respect and awareness of religious observances. This entry was posted in General on December 24, 2017 by Vicki Black. Can something as American as the Boy Scouts work within the traditional framework of Islamic traditions? In the small town of Richmond Heights in Ohio, an all-Muslim Boy Scout Troop is attempting to answer that question. Boy Scout Troop 2690 is headed by Scout Master Isa Abdul Matin and is represented by Muhammad Samad. According to Samad, “These boys are American boys. They bleed American pride. They do what American boys do.” And let’s be honest, there’s nothing more American than the Boy Scouts. However, there are certain aspects of being a Boy Scout that does not mesh with some aspects of Islamic law. A prime example is the Boy Scout tradition of reciting the Pledge of Allegiance at Scout meetings. “We pledge our allegiance to God, not a flag or a country,” says 12-year-old Boy Scout Mohammad Zoraiz. “Saying the pledge is ‘American’ but our basic tenet that we don’t have to is… because it’s America,” he added, understanding that the right to free speech is an American tenet. But how do the Boy Scouts America feel about this? According to Mark Baxter from the Lake Erie Council, it’s absolutely fine. Boy Scout Law requires a scout to be trustworthy, loyal, helpful, friendly, courteous, kind, obedient, cheerful, thrifty, brave, clean and reverent. If anyone is familiar with the tenets and laws of Islam the similarities are clear. It turns out that you can be Muslim and American. This entry was posted in General on November 22, 2017 by Vicki Black. What Is It Like To Grow Up Muslim In America? Most people who haven’t experienced bullying are confused by the debate that surrounds it. They define the word as similar to the constant teasing that envelops us as we grow up and go through the public school system, but that’s not what bullying is. Bullying is a constant everyday thing that comes at someone from all sides all the time, and to the victim, it feels universal and unending. Like it can’t stop, no matter how much you want it to. That’s why the environment that Muslim American children grow up in today is so terrifying. Imagine how you might feel if all you hear on the news is how evil a big part of your upbringing is. It’s not so easy to put ourselves in their shoes, and most of us seem not to care. Not everyone had the same experience, as is expected. Writer Haroon Moghul says that religion got in the way of his high school experience, and so he contemplated a turn to atheism as a means of combating the perplexed feelings exhibited by his peers. Oddly enough, he was drawn back into his faith because of his Roman Catholic peers. If they could believe openly, then why shouldn’t he? Even though these years were tumultuous, it wasn’t until college that 9/11 happened and his identity became shaped by the reality of what others had done. Although he doesn’t necessarily connect one element to the next, Moghul goes on to write about his battle with being bipolar and a divorce. How did his childhood affect these parts of his life? Sara Barry is an Egyptian and Muslim who can speak Arabic, but she grew up far from home. As is true of anyone who other kids pick on, it can be a difficult struggle to feel different. It’s not easy to pass through that barrier, either. Barry was asked if she spoke Muslim, and when she admitted that her religion barred her from pork consumption, the confusion was obvious and the questions were endless. Therein lies another problem with being different: even when people aren’t openly abrasive or negative about who you are, they’re curious and want to know the details. It can become a headache having to explain and relive the same small moments each day of your life. 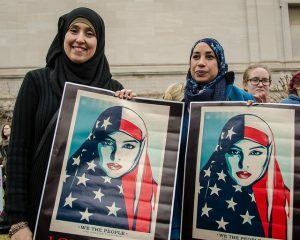 Although the hardships associated with growing up Muslim in America today can vary greatly from individual to individual and certainly from one region of the country to the next, it’s still important to empathize with those from other walks of life as often as possible, and to help one another make it through this journey whenever we can. The Muslim identity is just one of many, and it should be no easier nor more difficult than any other. This entry was posted in General on October 18, 2017 by Vicki Black. If I were to ask you to name as many Islamic-based religious holidays and festivals as you could, how many could you name? Assuming you weren’t already Muslim, of course, which would probably give you an unfair advantage. If you’re like me, you would probably only be able to name the fasting month of Ramadan, and you probably wouldn’t have guessed the name of the festival that annually closes out the month: Eid al-Fatr. Surprisingly enough, this isn’t even considered the major festival associated with the Muslim faith. That honor belongs to the holy festival Eid al-Adha. The Eid al-Adha, which literally translates to “festival of the sacrifice,” is generally celebrated each year on the 10th day of the 12th month of the Islamic lunar calendar (which shifts 11 days every year due to the difference in cycles between the moon and the sun, on which the Gregorian calendar is based), with variations taking place dependent upon region or sect, even possibly individual mosques. The celebration itself is said to correlate with the time in which Ibrahim (more familiar as Abraham to the Christian and Jewish faithful) was commanded by God to prove his devotion by sacrificing his son. When Ibrahim came to the point of preparing to sacrifice his son and even after fending off Satan with stones after attempts to deter him from carrying out God’s will, God stopped him – convinced of Ibrahim’s devotion – and provided him with an animal to sacrifice in his son’s stead, most often considered to be a sheep or a ram. The festival celebrates devotion to Allah and enacts this devotion by sacrificing animals to Allah while simultaneously assisting those in need by distributing the meat of the slaughtered to the poor and the needy, as well as making monetary donations. The festival also marks the end of what is known as the hajj – the holy pilgrimage to Mecca, considered the most holy site throughout the Islamic faith. 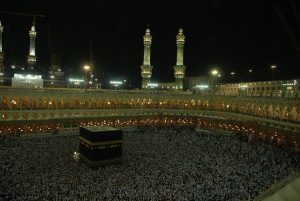 Recognized as one of the Five Pillars of Islam, the hajj is a pilgrimage that millions of Muslim worshipers make every year, and one that all Muslims are expected to make as part of their religious duty at least once in their lives if they are at all able to afford the physical and financial burden of it. Typically, the hajj concludes with pilgrims camped in what is known as a tent valley in Mina, a portion of Saudi Arabia, where they spend three days visiting holy sites such as the Jamarat Bridge and perform a symbolic ritual known as Stoning of the Devil. This ritual sees worshipers throwing stones to symbolize the stones that Ibrahim used to stone the devil who stood between him and God’s command. The hajj ends in celebration with prayers at the Grand Mosque in Mecca before pilgrims disperse to return to their friends and families and celebrate the rest of the observance of Eid al-Adha. This year, more than 2.35 million Muslims made the pilgrimage to Mecca and celebrated Eid al-Adha in the holy city. In Mina and at the Grand Mosque, male worshipers shave their heads and remove white garments that are worn specifically for the hajj, while female worshipers cut and remove a lock of their hair. This removal of hair and garments is recognized in the Muslim community as a sign of spiritual rebirth and renewal. You can learn more by visiting their website. This entry was posted in General on September 12, 2017 by Vicki Black.